Air Canada Vacations sent a team of specialists south from Montreal and Toronto last week to assess key sun destinations, mainly Antigua, Holguin, Varadero and Punta Cana, in the wake of the passage of hurricanes Irma and Maria, in order to ensure all hotels receiving guests continue to meet the company’s quality standards. The team found infrastructure such as airport and roads in perfect condition. Apart from shredded vegetation, which has largely been cleared and picked up, the island shows very little sign that a hurricane has passed through. The roadside vendors are back, the hotels are fully operational, the zip line is open, and the beaches have kept their white sand and clean turquoise blue waters. “It’s hard to imagine Antigua was even in the path of Hurricane Irma. The island is absolutely beautiful. In St. John’s, all businesses are open and Antiguans are ready to welcome guests,” said Angela Barroso, Manager, Product Development. AC will serve Antigua with two flights a week from Toronto starting 28OCT, with one additional flight starting on 21DEC. The ACV team found very few signs of the recent weather events. The infrastructure has suffered no significant damage, all resorts are fully operational and the beautiful beaches, fronting blue and emerald waters, remain so. In fact, one upside of the hurricane is that large quantities of sand were moved during the storm and have increased the width of the beaches in the area. “We were amazed by what we saw; Holguin is in pristine condition. The beaches are bigger and feel even better than before, with super soft and fine sand. It’s definitely a destination where you can send your customers in full confidence,” said Mabel Ocampo, Manager, Product Development. AC Rouge will fly weekly on Fridays from Montreal to Holguin starting on 20OCT and a new flight has been added which will fly weekly on Mondays commencing 6NOV. From Toronto, it will fly weekly starting 29OCT, with an addition of two flights as of 20DEC. 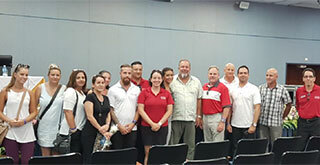 Last Friday, Air Canada Vacations’ commercial teams from Montreal and Toronto, as well as some members of the local team in Varadero, had the opportunity to meet with Cuba’s Ministry of Tourism at the Varadero convention centre. One of the key messages from the Ministry is that the country is taking this opportunity to make Cuba even more beautiful than ever. 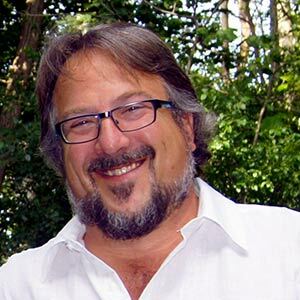 Following site inspections of 37 resorts of the greater peninsula, the ACV report is positive. The airport is fully functional, the streets are clean and there is no visible damage in the area. Similar to Holguin, the beaches are in pristine condition and larger as well. The vast majority of hotels are now completely operational and the town of Varadero is ready for the winter season, with all its restaurants and boutiques open. Flights from Montreal to Varadero will resume on 1OCT. AC Rouge operates four flights weekly and will increase to daily service as of 22DEC. From Toronto, Rouge will resume its service on 4OCT with three flights per week, increasing to daily service as of 18DEC. The ACV team that visited the Dominican Republic noted that infrastructure, such as airport and roads, was in great condition. Hotel staff were working hard to clean the remaining branches and leaves from the various beaches, which are now almost back to their original state. The vast majority of resorts are fully operational. AC Rouge is resuming its Montreal to Punta Cana service on 28SEPT, with four flights per week and daily service as of 19DEC. From Toronto, flights have already resumed, starting with four flights weekly and increasing gradually to daily flights as of 19EC. Also important to note: ACV is adding one flight from Montreal to Cozumel as of 16OCT, one flight from Toronto to Montego Bay as of 20OCT, one flight from Montreal to Holguin as of 20OCTand one more flight from Montreal to Cancun between 6OCT and 20OCT.